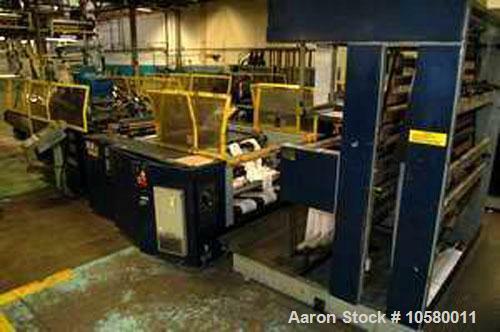 Used-1100mm Elba SA9011HS Poly Bag Machine. 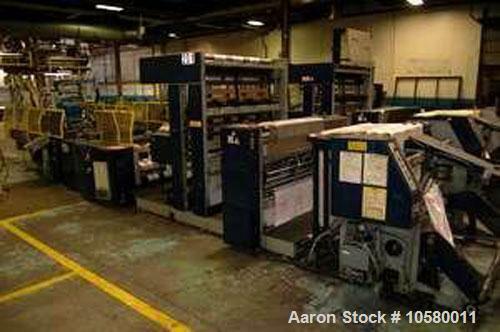 Mfg 1999. 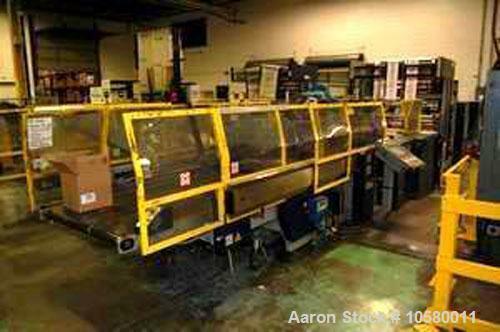 45" wide, 2-3 lane, hydraulic unwind stand, edge guide, slitting stand, post gusseter SV24-16-1993, AC drive, Nordson Vista 3500V hot melt unit, 3 heads, hydraulic handle and hole punch, TF9011HS, delivery conveyor and control.